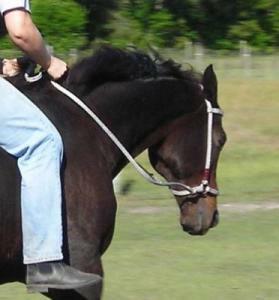 Sidepulls are a traditional type of bitless option, mild but still made to guide and control the horse. These high quality Lorien Stable Sidepulls (LS Sidepulls) are made of strong, soft webbing and padded with supple leather. 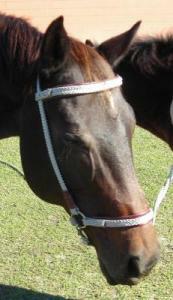 The design fits securely on the horse's head, in order to be most comfortable for the horse and to give the clearest signals. 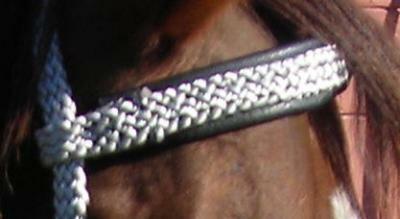 The browband, nose, and chin are all cushily padded. 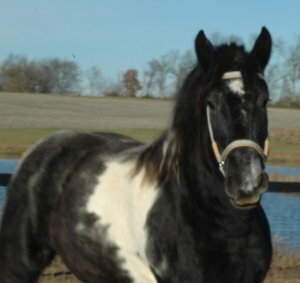 By sitting softly but firmly against the face, they will not shift around or rub; they will allow the best rein communication and the best comfort for the horse. 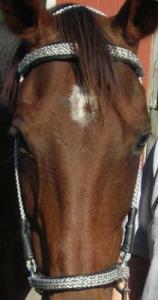 This horse is a habitual headshaker. 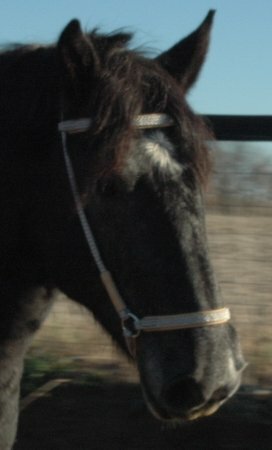 She is much more comfortable and shakes her head less in this LS Sidepull than in any other headgear, including: bitted bridles, hackamores, webbing halters with reins attached, and halter-bridles with or without bit. 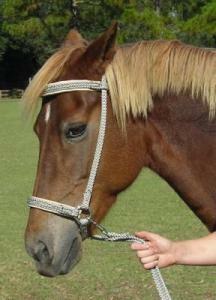 The LS Sidepull gives good control and good rein communication. 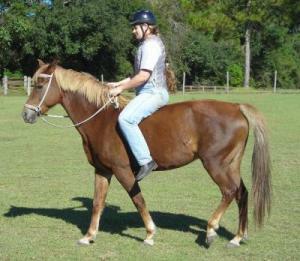 This mare is very green, being ridden for about the 15th time in these pictures. 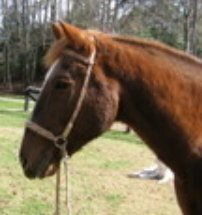 She responds to the LS Sidepull better than any other headgear we have used: halter, halter/bridle with and without bit, bridle with bit. 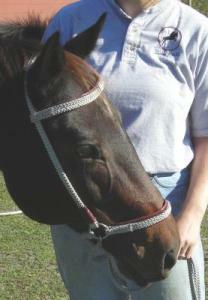 The LS sidepull helps the horse understand your reins well. 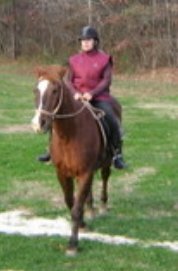 The browband and noseband padding makes the LS Sidepull secure so it doesn't slip, and makes the LS Sidepull comfortable for the horse. 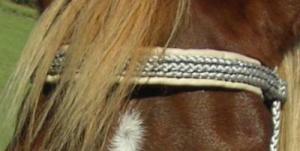 with your choice of leather padding. 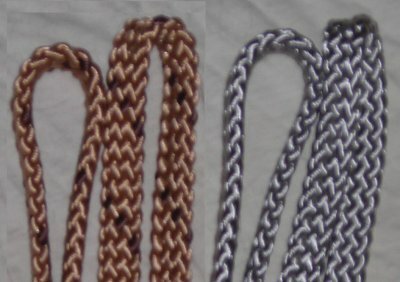 Colors in-stock are (from left to right): grey, purple, sea green, bright blue, dark blue, medium brown, orange-tan, honey brown, textured earth-tone light brown, and cream. Now in stock: Olive green, white, black, chocolate brown, tan, gold, mahogany brown, burgundy, and red. Don't hesitate to ask for: pink, lime green, pastels or neons, teal, turquoise, or any color your heart desires. Click here to see colors against a chestnut; Click here to see colors against a bay. 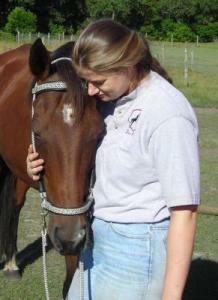 Matching reins are available for just $10 more. 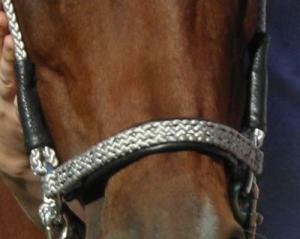 LS Sidepulls are custom made for you and your horse. Please allow 2 weeks for delivery (US, international may be longer). Once you have purchased an LS Sidepull, we will need three measurements from you. The sidepull came yesterday and I'm really pleased with it. It fits great and Monty was very responsive with it. 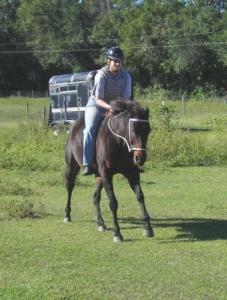 He's still a little hesitant ground driving with a bit, but with the sidepull he was much better. The best thing about them is that I forgot I was using them and Barney did too.